As a career move, I do not recommend becoming an artist. Unless Oprah Winfrey stands next to one of your images and at the very least says how pretty the colors are, so now everyone wants that one picture on everything from curtains to a refrigerator magnet, it's really hard to get discovered. So, it's important to relish in those small, and what I prefer, organic discoveries (and by organic I mean not from someone related to you). Recently, I opened a shop on Etsy, selling my nature inspired art on yoga mats, bags and beach towels. I followed all the advice about tiles and tags, SEO and algorithms. Posted great pictures, and then....crickets. Congratulations! 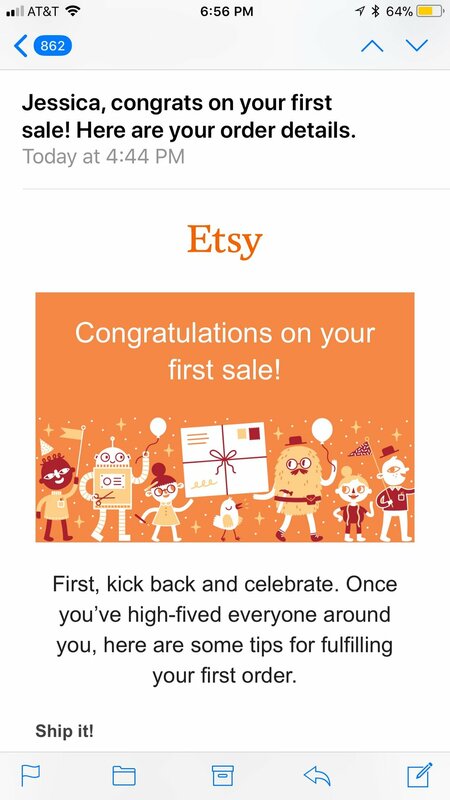 You made your first sale! The small stuff may not be worth the sweat, but it sure is worth a happy dance or two.